The CNG channels of both photoreceptors and olfactory neurons are nonselective cation channels that conduct Na+, K+, and Ca2+ when activated (opened) by cyclic nucleotide binding. Their single-channel conductance is typically greater than 20 pS when divalent cations are absent, indicating a relatively high rate of Na+ and K+ flux. Under physiological ionic conditions, the channels pass an inward current that depolarizes the membrane, but external Mg2+ potently blocks current flow through the channels, reducing their conductance to less than 0.1 pS. The smaller conductance makes sensory transduction less noisy because more channels must open to produce a given change in membrane potential. In the dark, photoreceptors have a high resting level of cGMP, so CNG channels in the plasma membrane are activated (open). The influx of cations through CNG channels depolarizes the resting membrane of a photoreceptor to around -40 mV and results in an elevated level of Ca2+i. One important consequence of elevated Ca2+i is a decrease in sensitivity of the channel to cGMP in the dark, an effect mediated by binding of calcium/calmodulin (Ca2+/CaM) to the channel. Activation of the visual signal transduction cascade upon absorption of a photon by rhodopsin results in stimulation of a phosphodiesterase, leading to hydrolysis of cGMP, closure of the CNG channels, and membrane hyper-polarization. Channel closure also leads to a fall in resting Ca2+i levels, which produces adaptive responses that enable photoreceptors to respond to subsequent increases in light intensity . In olfactory neurons, the binding of odorants to their membrane receptors activates adenylate cyclase or guany-late cyclase, depending on the class of odorant receptor that is stimulated. The rise in cAMP or cGMP opens the olfactory neuron CNG channels, causing membrane depolarization and firing of an action potential . The influx of Ca2+ during channel activation is important for olfactory adaptation through a Ca2+/CaM-mediated decrease in cAMP sensitivity of the channel (analogous to that found in photoreceptors) as well as other Ca2+-dependent effects . The major functional difference between the CNG channels of photorecep-tors and olfactory neurons is in their selectivity for cyclic nucleotides: both rods and cones are activated by cGMP preferentially to cAMP, whereas olfactory CNG channels are nonselective. 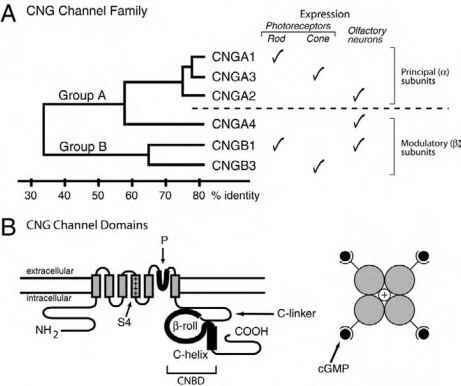 Kaupp and colleagues  were the first to clone a CNG channel gene (CNGA1, from bovine rod photoreceptors), and subsequent efforts discovered a family of related genes. To date, six mammalian CNG channel genes have been identified in two phylogenetic groups called CNGA and CNGB (see Fig. 1A.). CNGA1 and B1 were initially cloned from rod photoreceptors, CNGA2 and A4 from olfactory neurons, and CNGA3 and B3 from cone photoreceptors. Mutations in human CNG channel genes are responsible for certain degenerative retinal diseases and color vision defects. Each CNG channel gene encodes one subunit, and a functional CNG channel is made of four such subunits. All CNG channel subunits contain six transmembrane segments (S1-S6) and are homologous to voltage-gated K+ channel subunits (see Fig. 1B). The latter have a positively charged S4 segment that acts as a voltage sensor and a P region between S5 and S6 containing three conserved amino acids (GYG) that form the potassium selectivity filter (see Chapters 34 and 35). Although CNG channel activation depends on lig-and binding and is only weakly sensitive to voltage, the CNG channel subunits all contain a positively charged S4 segment. A P region also is found in CNG channels, but it lacks the first two amino acids of the GYG motif and therefore produces no K+ selectivity. Figure 1 The family of cyclic nucleotide-gated channels. (A) Phylogenetic tree showing relation of six CNG channel genes. (Adapted from Gerstner, A. et al., J. Neurosci., 20, 1324-1332, 2000.) Note the name CNGB2 is not used. (B) Structural features of CNG channels: (left) important domains of a CNG channel subunit; (right) a functional channel composed of four homologous subunits. antiparallel P-strands, followed by a short B-helix and a long C-helix. A C-linker sequence, connecting the S6 segment to the CNBD, is highly conserved in CNG channels but has no similarity to known sequence motifs. The CNG channel isoforms exhibit marked diversity in function as well as tissue expression . CNGA1-3 are called principal or a subunits, as they all form functional homomeric channels in heterologous expression systems. The activation properties of these homomeric a channels have been studied by applying cyclic nucleotide to the internal surface of the membrane in cell-free patches. 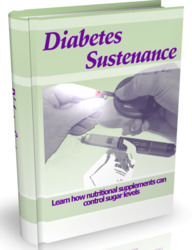 The channels show steep dose-response relations to cyclic nucleotide, with Hill coefficients as high as 2 to 4. Bovine rod CNGA1 channels are highly selective for cGMP relative to cAMP, with 20- to 50-fold higher maximal open probability with cGMP than with cAMP. In contrast cAMP and cGMP activate the rat olfactory CNGA2 channels with equal maximal open probability. The cone CNGA3 channels show an intermediate selectivity for cGMP over cAMP. The structural basis for these differences in selectivity lies, not surprisingly, in the CNBD and is discussed further in the next part. CNGB1 and B3, as well as CNGA4, are called modulatory or P subunits as they fail to form functional homomers but do coassemble with a subunits to form heteromultimers, whose properties more closely resemble those of native channels than do the homomeric a subunit channels. Thus, the native channels are likely to be heteromultimers of a and P subunits; rods, cones, and olfactory neurons all express different combinations of a and P subunits. Additional diversity arises through differential expression of splice variants of CNGB1 in different tissues. 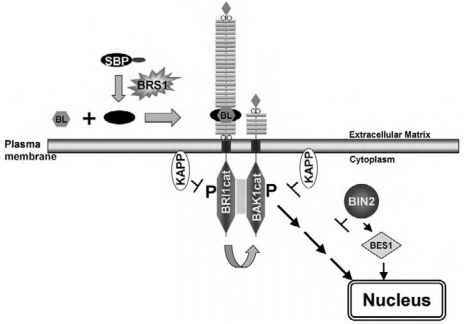 Bovine rods contain predominantly a long 240-kDa form of CNGB1 with a large glutamic acid-rich protein (GARP) domain in its cytoplasmic N terminus. This GARP domain may interact with regulatory proteins in rod signaling cascades. Shorter (100-kDa) CNGB1 splice variants lacking the GARP domain are the predominant forms of CNGB1 in human and rat rods, as well as in olfactory neurons. Different combinations of CNG channel subunits are expressed in other sensory and nonsensory cells; the role of CNG channel-dependent signaling in these tissues remains to be explored. CNG channels provide a simple model system for studying allosteric regulation [1,8]. Ligand gating conforms to a cyclic allosteric model in which channels can open spontaneously in the absence of ligand with only low open probability (10-3). Cyclic nucleotides bind more stably to the open state than to the closed state, and this stability difference provides coupling energy, which promotes channel opening. Although binding of ligand to only one or two sites in the tetrameric channel does enhance opening above the spontaneous level, efficient opening requires that all four sites be occupied. Several domains of the channel important for gating have been identified. In the CNBD, the C-helix is an important determinant of cyclic nucleotide selectivity. An aspartic acid residue in the C-helix (D604 in bovine CNGA1) favors cGMP binding over cAMP binding by forming a pair of hydrogen bonds with the guanine ring of cGMP and a repulsive interaction with an unshared pair of electrons on N6 of cAMP. Moreover, this interaction occurs selectively when the channel is open, contributing large coupling energy for channel activation with cGMP but not cAMP. In CNG channel subunits that are not selective for cGMP, the aspartic acid residue is replaced by an uncharged amino acid. The conformational change in the CNBD that enhances ligand binding is coupled by the C-linker to the confor-mational change in the transmembrane domain that opens the pore. A histidine residue in the C-linker can act in a tetrameric channel to chelate Ni2+, and recent experiments (see Flynn et al. ) showed remarkably that this Ni2+ chelation could either increase or decrease the open probability of the channel, depending on the location of the histi-dine along the length of the C-linker. The results imply that the C-linker forms an a-helix that rotates longitudinally upon channel activation, probably also causing movement of S6. In voltage-gated K+ channels, S6 forms a movable gate whose translation controls ion entry into the cytoplas-mic end of the pore (see Chapter 35). In CNG channels, however, ion entry into the pore is not blocked by the S6 segment, so the role of C-linker and S6 motion during channel activation may be to cause a conformational change of the P region, which would serve as both the selectivity filter and gate. Other regions of the CNG channel are important in regulating channel opening. For instance, the N terminus of the olfactory CNGA2 subunit can interact favorably either with the C terminus or with Ca2+/CaM. Binding of Ca2+/CaM to the N terminus suppresses the interaction between the N and C termini and inhibits activation of the channel. A similar mechanism works in rod CNG channels, mediated by Ca2+/CaM binding to the CNGB1 subunit.